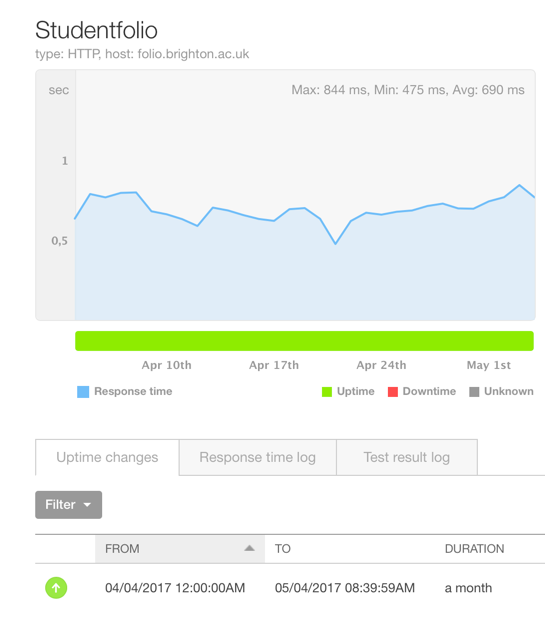 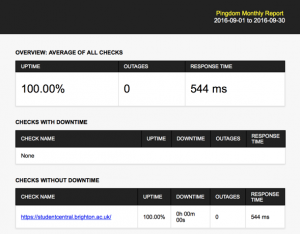 This morning 25/6/17 between 09:01:51 and 09:12:51 Univesity of Brighton LDAP server was refusing connections, preventing users from logging in to StudentCentral, StudentFolio and other services, such as Edublogs and possibly Sharepoint. 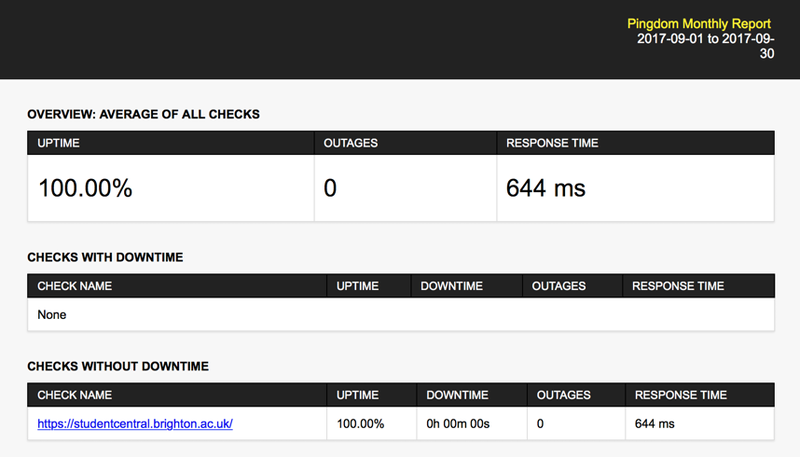 LDAP is the central-system that handles logging into services. 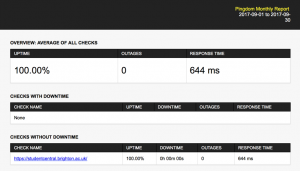 The system recovered without intervention after LDAP server started accepting connections at 09:12. 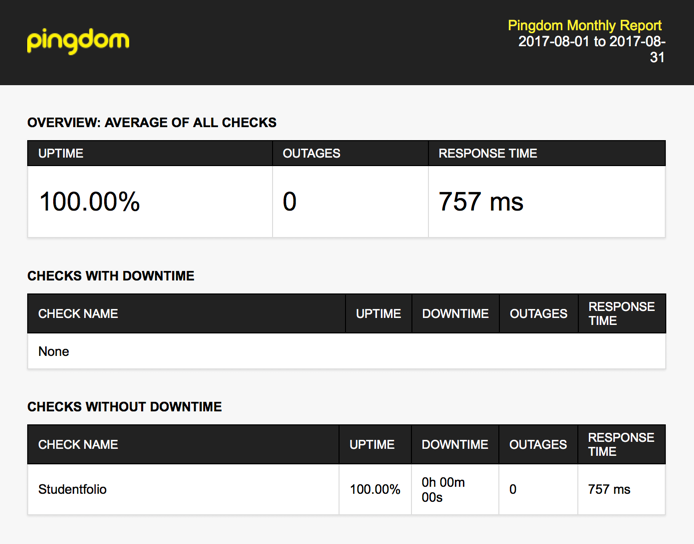 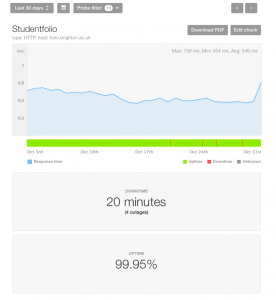 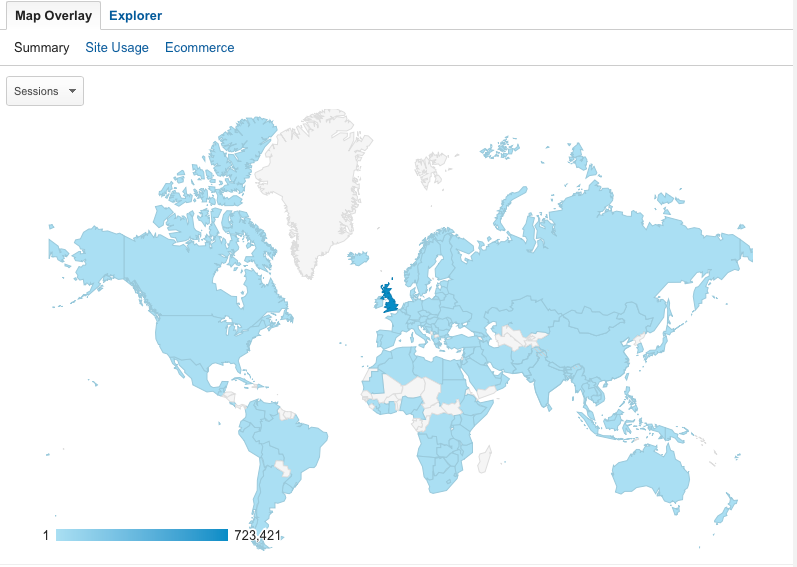 Studentfolio has shown no downtime according to Pingdom checks, and has an average response of around 690ms from Europe. 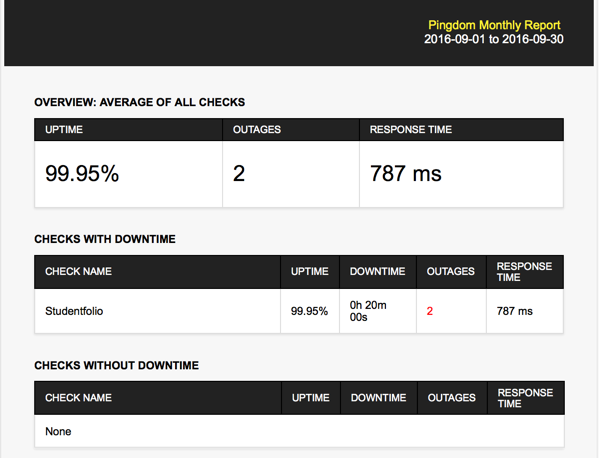 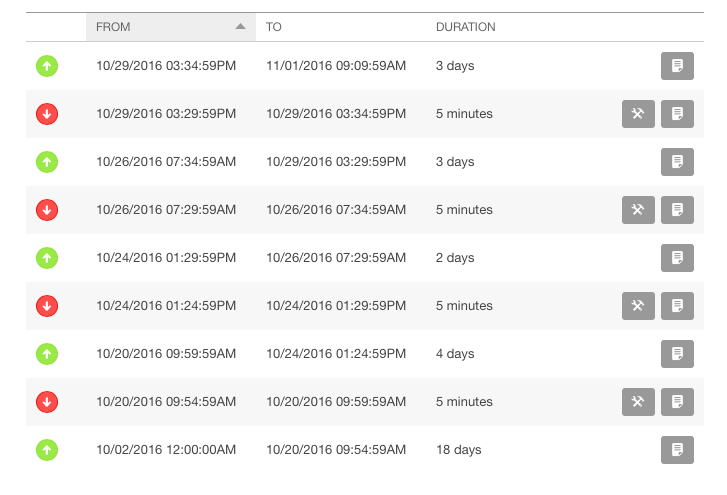 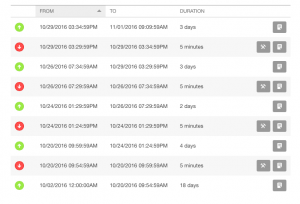 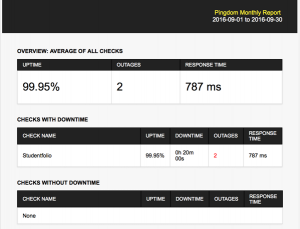 Studentcentral shows no downtime throughout April according to Pingdom tracking, and has an average response time of 319ms from Europe. 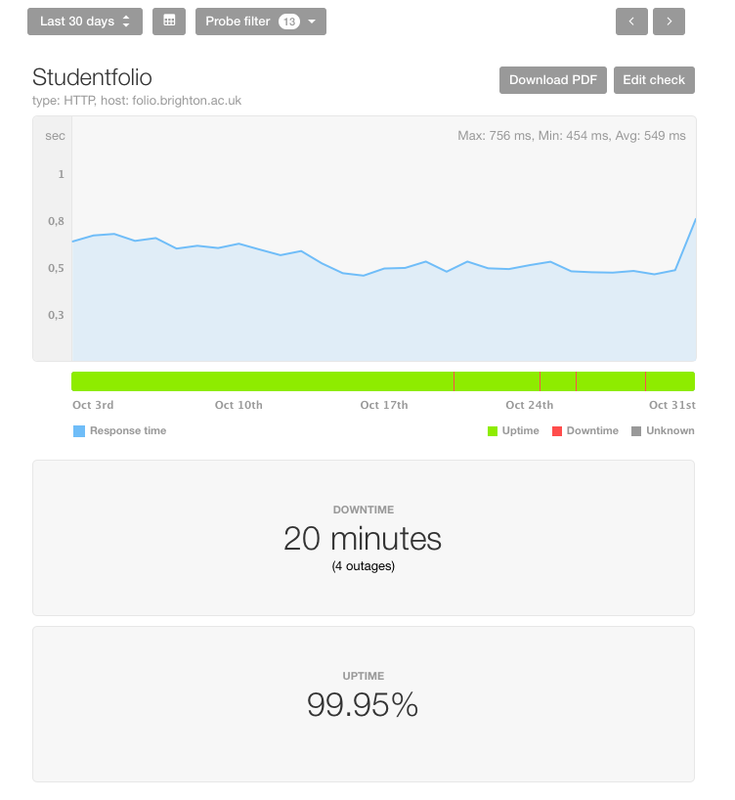 The Brighton, instance of Mahara, Studentfolio (folio.brighton.ac.uk) will be upgraded on Monday, 8th August 2016. 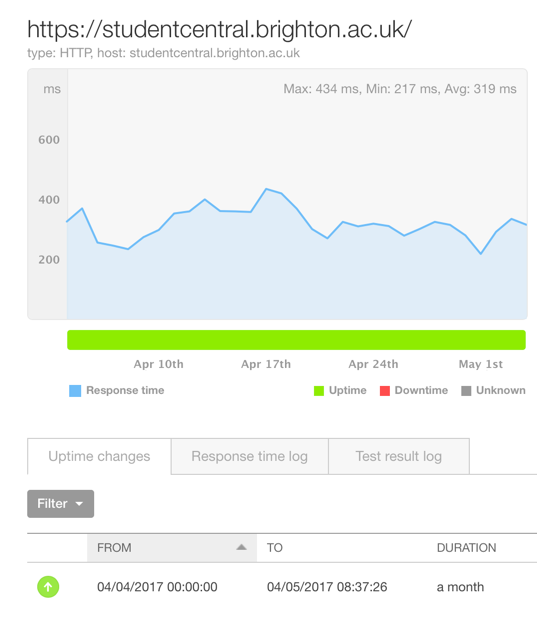 The site is scheduled to be unavailable between 9.30am and 5.30pm. 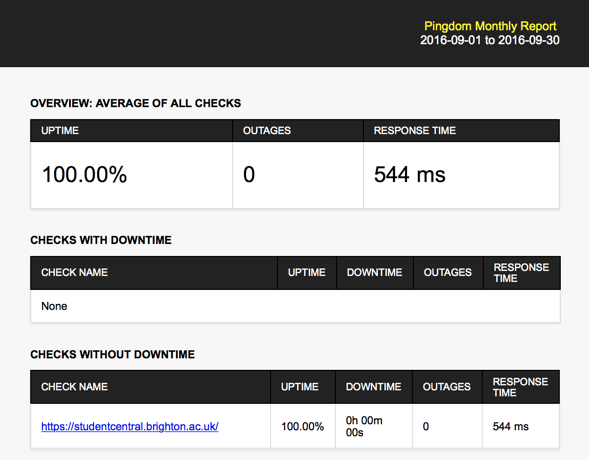 We are currently working with our hosts to modify existing default themes to include university branding. 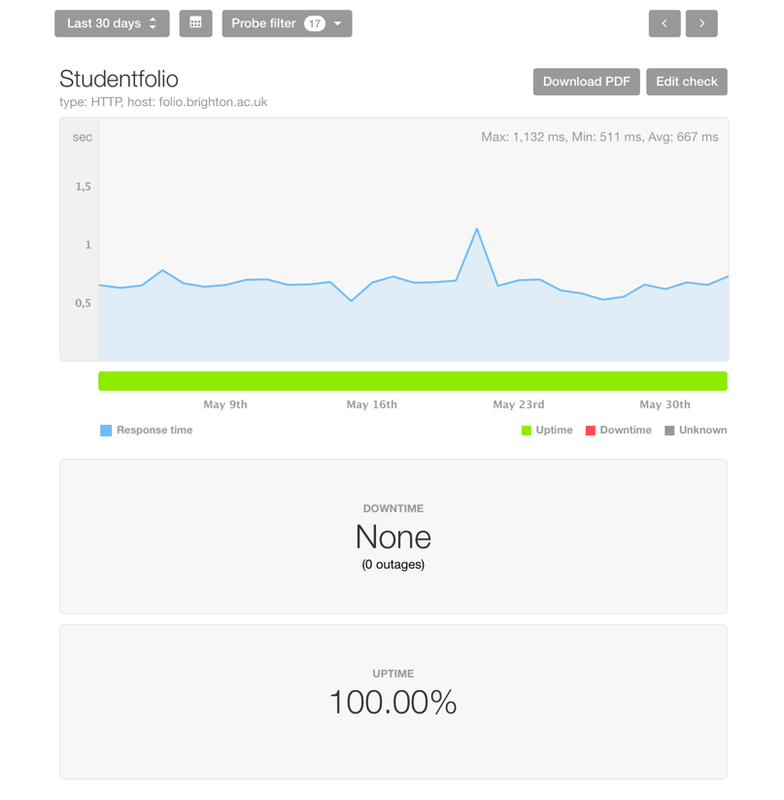 This blog aims to maintain an overview of our services, Studentcentral, Studentfolio, Edublogs, Turnitin, Up time, down time and occasional news about the services themselves.